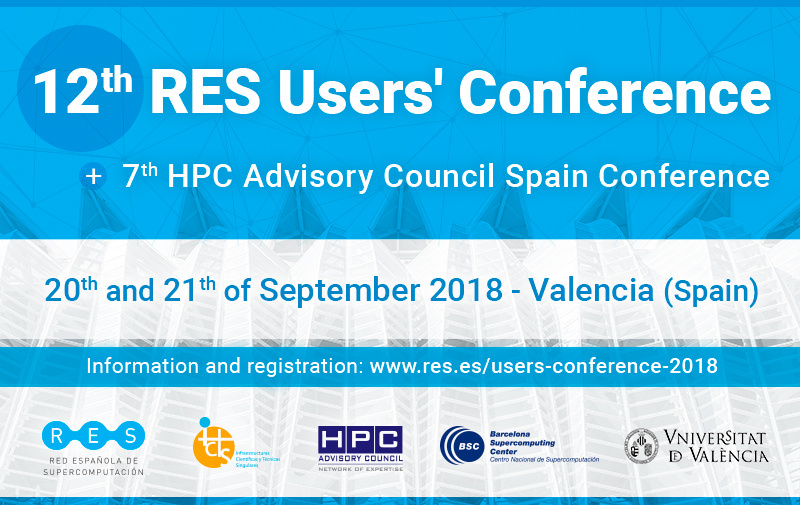 The Spanish Node of RDA Europe 4.0., together with the Spanish Network of Supercomputing (RES), is organising a session at the 12th User Conference of the RES, on September the 20th at ADEIT-UV (Fundació Universitat Empresa de la Universitat de València). This will take the form of a round table discussion where experts and representatives of institutions will gather to debate on the topic of open scientific data in research. The session will be moderated by Jesus Marco, CSIC Vice-president and will see the participation of several members from the RDA community, at a Spanish and European level. A networking lunch hosted by the Spanish Node of the RDA will follow.